When I lived in the states, I used to make panettone at home, but my cakes were far from satisfactory. It's probably because my experience was limited, plus many of those recipes written in English weren't well tested before published. 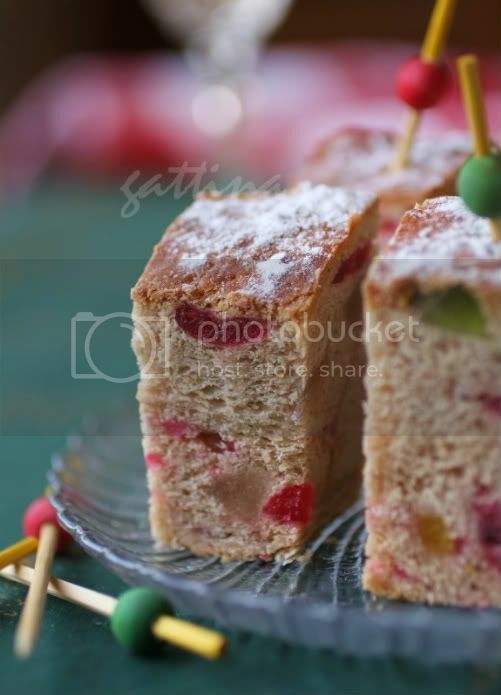 I could have made other types, but I wasn't happy with the quality and the price of candied fruits at the stores I found, I ended up buying a fruit cake from a monastery in Virginia, fortunately, it's beyond awesome. I am very lucky now, as the candied fruits are plentiful in Barcelona. They are superb, and they are inexpensive. Taking a reference of a German Stollen recipe, I created this red wine fruit cake. If pay attention to the sugar content in the candied fruits, just take it moderately, the cake itself is light and fairy low in fat. 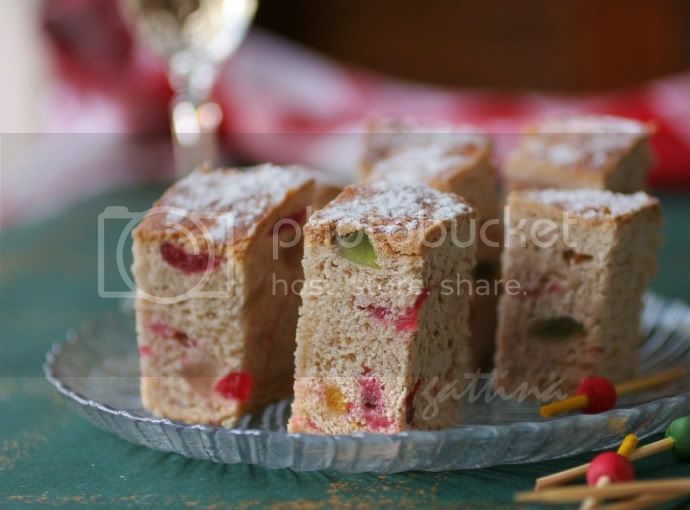 No holiday season can be that joyful if without a fruitcake! I love that addition of red wine! A wonderful cake. So festive. just discovered your blog, love it and the fruit cake sounds good with the addition of red wine and ice colour too! I love your photography and the cake looks very festive!